Huanglong jade is widely distributed in west Yunnan’s Longling County. 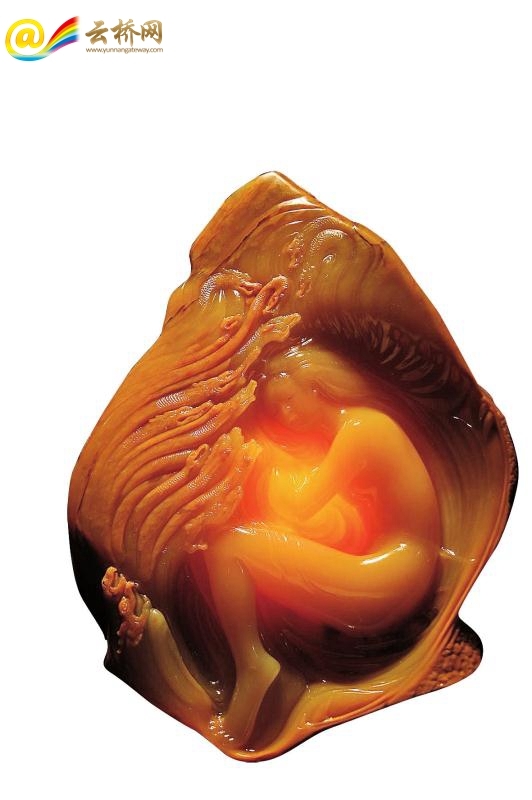 Before it got popular to the outside world in 2004, it was called “beeswax stone” or “yellow stone” by locals. Colors have a strong symbolic meaning in Chinese culture. 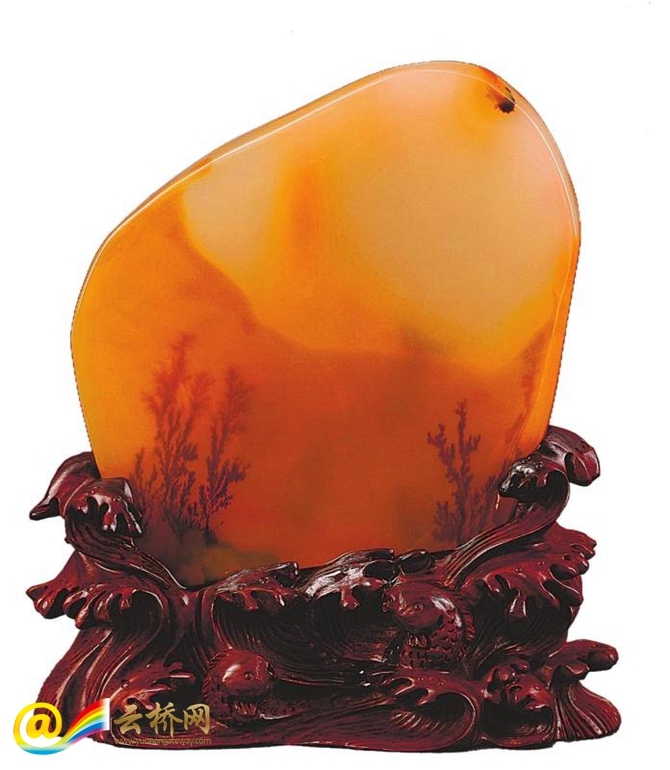 Huanglong jade with yellow and red as the main colors, when made into elegant and graceful art work, symbolizes fortune and auspiciousness. In terms of excellent raw materials of Huanglong Jade, a piece was worth dozens of yuan before its value was discovered. Now, a kilo of it can sell as much as tens of thousands of yuan. To increase the popularity of the Huanglong jade and the county, Longling has held eight Huanglong jade engraving contests, attracting many jade carving masters every year. During the 7th contest held in 2016, a work, carved by the Chinese master Chen Xiaoxian, stole the spotlight and won the gold award. Named “Joyful Spring Meeting by the Green Lake”, the jade work is a yellow and black triangular stone seen from afar. However, take a close-up look, you will find a landscape painting engraved on the stone: two hermits are talking in a pavilion by the lakeside surrounded by reeds and lush grass as dark as ink. Time matters if you want to buy the Huanglong jade in Longling. 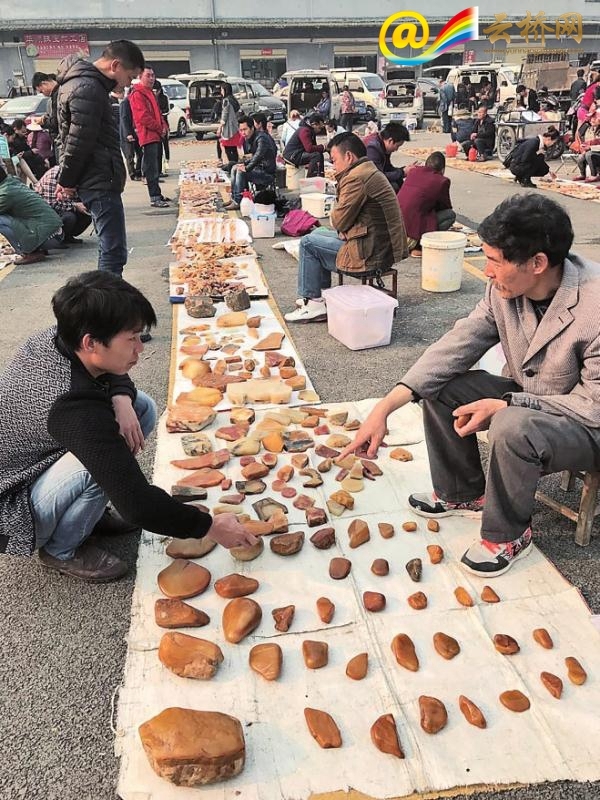 The best time is during the “morning market” in the Huanglong Jade Production and Trading Park in the county. Not far from the morning market is the Huanglong Jade Public Trading Center, the largest in Asia, which holds bimonthly public trade fairs.